THE AUSTRALIAN ROAD TRIP - Ultra International B.V.Ultra International B.V.
A field trip opens up opportunities to closely observe cultures, practices, and people. Our trip to Byron Bay in Australia from December 2nd to 9th, 2018 left us in awe of the hidden gems of the country. The trip was instrumental in exploring and understanding the exotic essential oils from the sought-after Australian market and shed light on their sustainable practices, and ground-breaking research. The beachside town Byron Bay in New South Wales hosted us for a week. During the stay we visited Golden Grove Naturals (GGN) plantation, the Department of Primary Industries, leading researchers at Southern Cross University, local farmers, and wildlife sanctuaries. About 175 kilometres south of Brisbane is the beachside town of Byron Bay. We were welcomed to this picturesque location on December 2, 2018 by Directors Tillman Miritz, Ravi Sanganeria and Aaron Pollack, whilst enjoying a round of drinks and canapés. The second day of our trip was dedicated to a visit to the Golden Grove Naturals plantation. 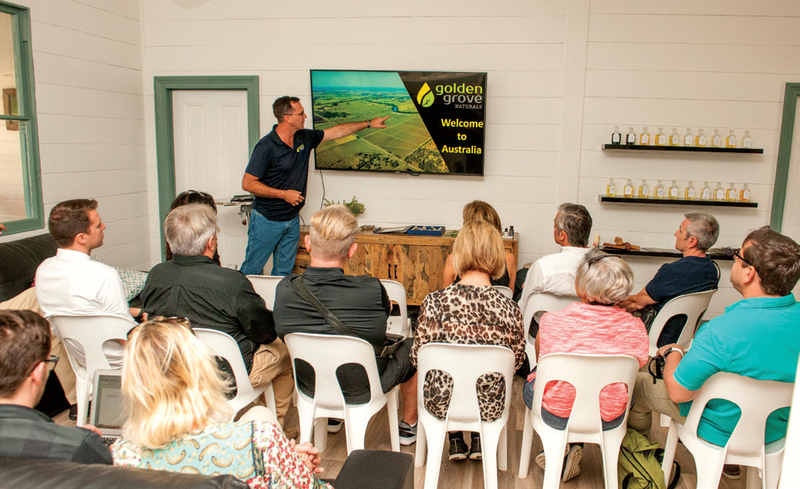 The dedicated team at Golden Grove greeted us as we arrived then embarked on the trail of Australia’s original tea tree oil plantations, and the more recently established new plantations. 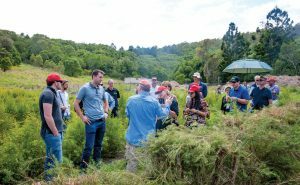 While the new plantations were dedicated to honey myrtle, and two new strains of tea tree, the forthcoming ones were prepping to grow manuka, kunzea, and lemon-scented tea tree oil. We were taken through distillation to crop warehousing, in-house nursery, quality control, and even a tractor ride. This was followed by an invigorating interaction with Kate Steel from the Lismore Council, and koala conservationist, Angie Brace. Today, though koalas abound in Australia, they are threatened by habitat loss as a consequence of land-clearing for agriculture. One of GGN’s goals is to preserve koala habitat to revive the koala population. We also had the good fortune of listening to Dorene Petersen, Founding President of the American College of Healthcare Sciences (ACHS). With over 35 years experience in clinical teaching, aromatherapy, and other holistic health subjects, Dorene is a respected veteran in the field. Her lecture navigated through research findings and the biological potential of Australia’s essential oils. 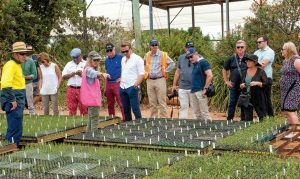 Apart from visiting plantations to gather first-hand knowledge, the tour also included interactive sessions with Australia’s leading researchers in the field. Our first stop on day 3 was the Department of Primary Industries in New South Wales. They are a government agency, which GGN partner for the propagation of new essential oils. We had the pleasure of meeting the CEO Ross Dickson, and expert Kath French to understand the growing potential of Australian essential oils. Tea tree is one of Australia’s most profitable gems. We explored the Aboriginal farms that grow tea tree. Lemon myrtle, one of the biggest new attractions, was also on our agenda. Gary Stibbard, a local owner, took us around his plantation and distillery. The fourth day of our trip was spent understanding the people and organisations that have invested heavily in the growth of the Australian essential oil market. We began this journey with Southern Cross, which evolved as a fully-fledged university in 1994. Since then research has been one of its core functional areas. The university has undertaken numerous studies and activities in the development of Australian essential oils. Soon after inception, the university’s first major research centre dealing in plant conservation genetics was established. It caught attention instantaneously, and received significant funding for genetic research in tea tree, rice, barley, and wheat. The establishment of the Australian Tea Tree Oil Research Institute followed. Southern Cross University works with the best in the field to deliver ground-breaking research. We spent an afternoon interacting with some of them. Associate Professor Terry Rose, an expert in agronomy and soils, was one of them. His work primarily focuses on sustainable agricultural production. As part of his research, he is involved in extensive field trials to collaborate with key farmers or focus groups. This is followed by a controlled environment or glasshouse study to resolve any underlying mechanisms. Dr Ian Southwell, who has published over 50 papers on Australian essential oils, is also a regular at the university. He is also the Chairman of the Essential Oil Committee of the Standards Association of Australia. 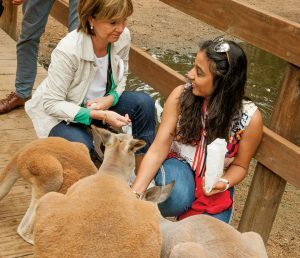 Interacting with locals, who have harnessed Australian wonders successfully, was the best way to spend day 5 of our field trip. 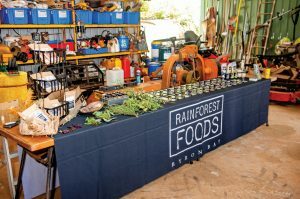 We first met Anthony Hotson of Rainforest Foods, walked around his farm, and chatted about native ingredients. We were all excited to explore these exotic botanicals such as Davidson plum, anise myrtle, cinnamon myrtle, finger lime and lilly pilly. Our next interaction was with Aboriginal grower Rebecca Barnes. She enthusiastically narrated stories about the medicinal properties of Australian ingredients. We tasted some products that used these ingredients such as Davidson plum jam and lemon myrtle tea. The Farm, Byron Bay, has transformed into the largest food tourism business in Australia in just three years. We went on an exploration tour of the farm to fathom its secret of success, and learnt that they grow, feed, and educate. We started day 6 of our trip getting to know the Australian fauna. Some of the most interesting species of wildlife reside down under. We spent a fun morning meeting, feeding, and being photographed with kangaroos, wombats, and koalas at the Currumbin Wildlife Sanctuary. From wildlife we shifted our focus to Australia’s indigenous nut, macadamia. It was a novel experience to crack fresh nuts from the Brookfarm Macadamia Farm and savour their refreshing flavour. Brookfarm is one of the most successful operations in Australia. In November 2000, Pam Brook took the plunge from being a dentist to co-founding Brookfarm Macadamia along with her husband Martin, an ex-film producer. We spent quality time around the property, walking down the rainforests, and learning about secret ingredients used by the owners in their gin making process. We were lucky enough to taste the concoction brewed from the 12 secret ingredients, and enjoyed a live cooking demonstration by Australia’s leading wellness and spa chef, Samantha Gowing. The Byron Bay Lighthouse greeted us, as we got a glimpse of Australia’s marine life, spotting dolphins and turtles. And a trip down under would be incomplete without some surfing lessons to complement the serene surroundings. The field trip helped us Discover Australia for its treasure trove of wellness. During our exploration, we delved deep to understand the conditions and techniques that aid the development of some of Australia’s natural wonders. Soaking up the natural beauty of Australia, we concluded the tour on December 8th 2018. Our week-long interactions with experts in the field and our first-hand experience helped us understand the Unique Selling Proposition of this hotbed of essential oils. 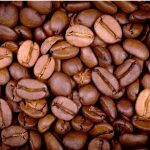 Coffee Arabica CO2IndiaCoffea arabica L.